If the property is subject to a mortgage, permission will need to be obtained from your lender. You should ensure that your mortgage agreement does not prevent you from letting the property and always seek the advice of your lender or mortgage advisor prior to instructing us to find a tenant. If the property is not in your name, but you have authority to deal with it, you must ensure you obtain a valid power of attorney to prove that you can enter into contracts relating to the property legally. Under The Consumer Protection Act 1987 you must ensure your property meets safety regulations and that your tenant is protected. As a Landlord, there are a number of legal obligations that you must satisfy before you can let your property. These include several safety requirements that are essential to protect the safety of the tenant and also to reduce your liability in the event of any accident that occurs to your tenants. If you do not meet the legal requirements relating to the safety of the property, Jayman, as managing agents cannot continue to manage the tenancy. If you fail to comply with the safety requirements and your tenant is injured or even dies as a result of it, you may be prosecuted for manslaughter or attempted manslaughter. You must ensure the safety of your property and protect your tenant. Remember, any furniture you leave in the property should meet health and safety regulations. Amongst other items please note; foam ceiling tiles are not legal in rented properties, asbestos should be removed, stairs should have a secure banister, sofa’s and beds should carry fire safety labels and any dangerous items should be removed. It is highly advised that a safety certificate for the electrical wiring and a portable appliance test certificate for each appliance you leave are obtained to protect you. Without these certificates, it will be near impossible for you to show you have taken every reasonable step to protect your tenant. We can arrange for these checks to be done by our qualified contractors. Please contact us for information regarding this on 01543 417 559.
f the property has a gas supply, you should obtain a gas safety certificate to prove this is correctly installed. This is a legal requirement and a property cannot be let without one in place. Your tenant should be given a copy of this when they move in. This certificate needs to be updated yearly. It is a criminal office to let a property without a valid gas certificate. It is a legal requirement that smoke detectors are fitted on each floor of the property you intend on letting. The alarms should be tested regularly to ensure they are working and batteries are functional. Carbon Monoxide detectors are also highly recommended to demonstrate that you have taken all reasonable steps to adequately protect your tenant. The better condition your property is at the start of the tenancy, the fewer disputes there is relating to the condition at the end. We encourage carpets to be cleaned and gardens to be well maintained at the start of the tenancy. Obligations can then pass to the tenant to ensure that the property is kept in the same condition throughout and at the end of the tenancy. The Landlord and Tenant Act of 1985 (as amended by the Housing Act 1988) places several obligations on you as a landlord to repair the property. Under our management service, we take on this duty for you and attend to the day-to-day repairs which may arise to ensure a smooth tenancy. It is important to maintain your property and that you invest in keeping it in good condition. Over years of renting it, the general wear and tear that occurs can require a refurbishment in order to keep the property in good order. Should the property fall into disrepair and you fail to attend to maintenance works, you may fall foul of the Landlord and Tenant Act 1985 which places obligations on you as landlord to repair the property and ensure it is fit for “human habitation”. Although sometimes costly, if maintenance works are not completed satisfactorily, the local authority has powers to serve legal notices on you to carry out the works. It may also put you in breach of your tenancy obligations meaning your tenant may seek damages against you. We have a list of recommended contractors who prioritise our clients’ needs and offer very competitive quotes, minimising cost and inconvenience to our landlords. t is a legal requirement for an energy performance certificate (EPC) to be obtained on any property that you are looking to either rent out or sell. This must be produced by a qualified practitioner and given to the tenant before they move in. The certificate demonstrates the current energy efficiency of the property and suggests improvements to bring the running costs of the property down. We can arrange for and EPC to be obtained for you by one of our qualified providers. Please contact us for a quote on 01543 417 559. If you intend on letting out individual rooms of the property or if you intend on letting out different parts of the property, you may be subject to legislation regarding “HMO’s” (Houses in Multiple Occupation. This legislation was introduced to protect the health and safety of the different tenants who may be sharing the property. There are two categories relating to license requirements; Mandatory and Discretionary. If you intend on letting out to multiple tenants with different tenancy agreements, we strongly recommend that you make enquiries about your proposed scheme with the local authority and obtain a licence if required. If you require a licence, but do not obtain one, you may be liable to a £20,000 fine. If you live in the UK you should declare the money you receive from your let property to the Inland Revenue when you file your returns. If you live outside of the UK for more than 6 months in any one year, the Inland Revenue requires either your tenant or the managing letting agent to collect and pay “Non-Resident Landlord (NRL) Tax” on the income from the property. You can apply for an Approval Certificate from Inland Revenue by completing an NRL1 form (downloadable from www.hmrc.gov.uk/cnr/) . In the absence of a certificate, we will deduct this tax (20%) monthly from the rent received, less any deductions allowable, and pay this to the Inland Revenue. We will then supply you with an annual statement of the tax we have paid on your behalf. We advise all landlords who are planning on residing abroad to consult their own accountant who can advise them on their liabilities for NRL tax. You should ensure that you take out adequate building insurance (which may be mandatory under any mortgage agreement) and we would encourage you to strongly consider taking out Landlord Insurance to include 3rd party liability and occupier risks and also Public Liability. Any existing policy should be reviewed to ensure they are aware that the property is being let out to a tenant. If the tenant suffers injury due to, for example, a banister giving way and coming off the wall, you as landlord may be liable for any claim the tenant makes. Public Liability can prevent you incurring costs should the tenant suffer injury. We are able to compare quotes and arrange this insurance on your behalf. Please contact us on 01543 442 952 for more information. We ensure all of our tenants go through stringent reference and credit checks to confirm they are potentially suitable tenants. However, with the economy being in its fragile stage, employment can cease if an employer is forced to make cuts. This may render your tenant unable to make rental payments. Obviously, at this stage we will assist you in removing the tenant from the property but this may incur legal costs and take up to 12 weeks in some cases. A rent guarantee policy can ensure that you continue to receive rent in this circumstance and that your legal costs are covered in obtaining possession of the property. We are able to offer Rent Guarantee Insurance that covers you up to £50,000 in lost rent and £50,000 in legal fees. Legal4Landlords (our recommended broker) can quote for and provide our clients with the most suitable cover in their circumstances. Whether you choose for us to manage the property or do this yourselves, we can still arrange this on your behalf. For more information, please contact 01543 417 559 and speak to a member of our team. The purpose of taking a deposit from your tenant is to act as a deterrent against your tenant damaging your property. The law relating to deposits changed in 2004 and now states that the Landlord must ensure that the tenants deposit is protected under an approved scheme. At Jayman Lettings, we use the Deposit Protection Service (DPS) to guard our clients deposits. Once a deposit is taken, the money is lodged into the DPS who keep the money in protected government approved accounts until the end of the tenancy. If the landlord does not adequately protect the tenants deposit in an approved scheme within the necessary time period, the landlord will not be able to serve a notice to get the property back and may be ordered by the court to pay 3 times the amount of the deposit directly to the tenant! The regulation of deposits is monitored closely and must be followed to prevent heavy fines being imposed on landlords. At the end of the tenancy, Landlord and Tenant must agree on any deductions that are to be made for damages. If they cannot agree, the DPS will ask for written submissions and evidence, including a detailed inventory, from both parties and will make a ruling on how much is to be returned to each party. At Jayman Lettings, we will assist as best we can with the negotiation to reach an agreement on the deduction to ensure a speedy, acceptable resolution to any dispute. We understand that many landlords can be tempted to produce an inventory themselves, however serious though must be given to if this is the best idea to protect you at the end of the tenancy. We cannot stress enough the importance of a properly prepared, highly detailed inventory in order to prove the original condition of the property. Without this, taking a deposit becomes almost useless as in the absence of a suitable inventory, the original condition cannot be proved and the tenant will almost certainly get the deposit back in full. Inventories protect you! In the absence of an inventory, or if the inventory is not detailed enough or bias in anyway, the DPS will almost always decide in favour of the tenant regarding any dispute. An independently prepared inventory, produced by one of our third party qualified clerks can provide you with solid evidence when claiming for any damage to your property by the tenant. The cost of not having one, if a tenant does cause damage, could become £1,000’s! We are a multi-award winning lettings agency with over 22 years experience. We take tremendous pride in our ability to find suitable tenants and manage your property with the highest levels of customer service. In 2013 and 2014 we were award winners at the Lettings Agency of the Year Award by The Times and The Sunday Times at a prestigious event in London. This reflects on the high level of expertise and professionalism we apply to our work. They don’t give out these awards to just anybody! We are able to offer tailor made packages for you from simply finding and referencing a tenant, to a fully comprehensive management service. We take pride in providing the utmost care and attention in dealing with our clients’ properties, whether it be your first experience of letting, or if you are adding a further property to a vast portfolio – we value each and every client equally. To follow is a short guide on why we are so successful in letting properties and the methods we would use to ensure we find the best tenant to care for your property. We use online marketing combined with traditional newspapers and our very extensive database of pre-vetted tenants to help us find you the most appropriate tenant for your property. Rightmove, Prime Location and Zoopla ensure all our properties receive the maximum online coverage to display and advertise your property. Our local newspaper adverts are eye catching and detail the key features of your property also to those looking in the newspapers. Reveal any County Court Judgements they may have. If we identify any problems or discrepancies with their original application, we will not move them into your property. Once they have passed, we will then agree dates and times for them to move into the property. On move in day, we meet with your tenant at a “Check in Appointment” and go through the terms of their tenancy agreement to ensure they fully understand their responsibilities as your tenant. We will explain where their deposit is kept and who they should contact in the event of a problem at the property. We also go through the inventory and advise them on how to ensure the property is returned in the same if not better condition meaning the chances of disputes at the end of the tenancy is reduced. Our management team can deal with the day to day running of the property on your behalf. This ensures that you receive rent on time and that any problems with the property are resolved speedily, at the lowest cost and inconvenience to you. Our team of maintenance contractors can attend to any problems promptly and provide a superb service prioritising our clients’ needs and requirements. A happy tenant leads to a harmonious tenancy resulting in increased reliability, increased care and reduced disputes relating to the property. We also can arrange for the safety certificates to be renewed automatically when they expire meaning that you stay protected and in accordance with your obligations. We will also keep you advised of any changes in legislation that may affect you as a landlord and advise you on the best course of action in any circumstance. 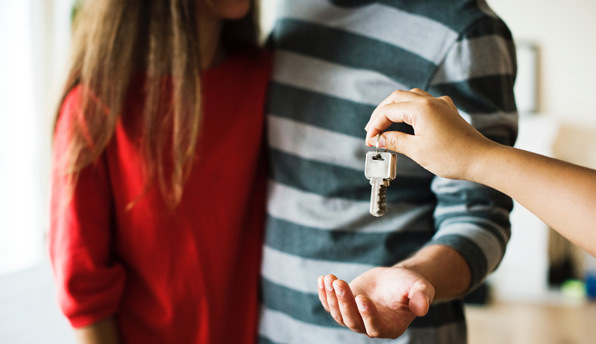 If your tenant wants to leave, or if you want to regain possession of the property, we can assist with the entire process and either re-let the property, or obtain vacant possession. We act quickly if you are looking to re-let to ensure that any void period is reduced and the next tenant is moved in with delay. This saves our clients hundreds of pounds that could be lost if marketing is delayed in anyway. We contact the current tenant to arrange viewings with our new tenants and work hard to find the next tenant for you. Our team all have many years of experience behind them dealing with the management of property throughout Staffordshire and are on hand to provide advice and support whenever necessary. We hope you have found this guide to be helpful and informative. We have over 20 years experience in the lettings industry and our professional and experienced team are on hand to help you with any further queries you may have regarding becoming a landlord. We are always looking to improve on our service and operate interactive feedback and suggestions systems to work with our clients to continually meet and exceed their expectations. For a free market appraisal of the rental valuation of your property and professional advice tailored to your specific property, please contact us on 01543 417 559 and we will be happy to assist you.